I picked up all of the items for my basket at Aldi when I was making our weekly grocery run. I included basics like water, protein bars and trail mix - but mixed it up by adding jerky (my personal favorite) and fruit snacks (because I'm 5 years old inside). I picked up a small storage container at the dollar store and lined it with a kitchen hand towel before putting in the snacks. 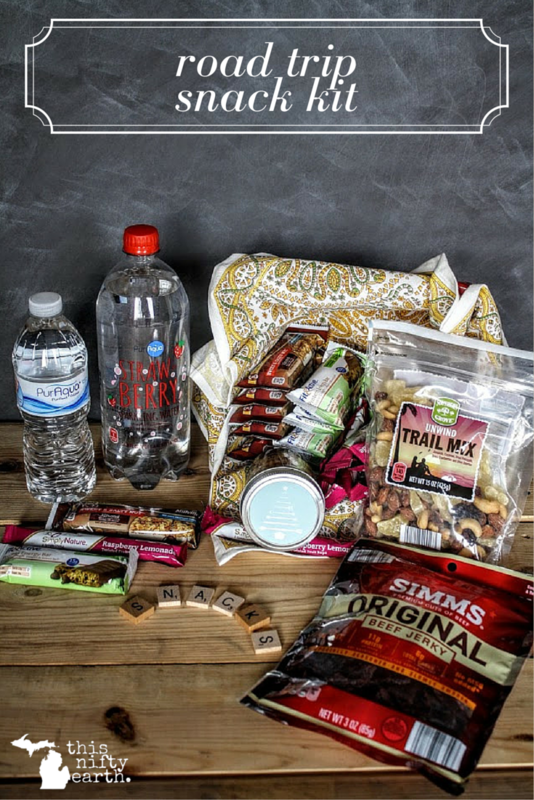 What would you guys add to your own road trip snack kit?